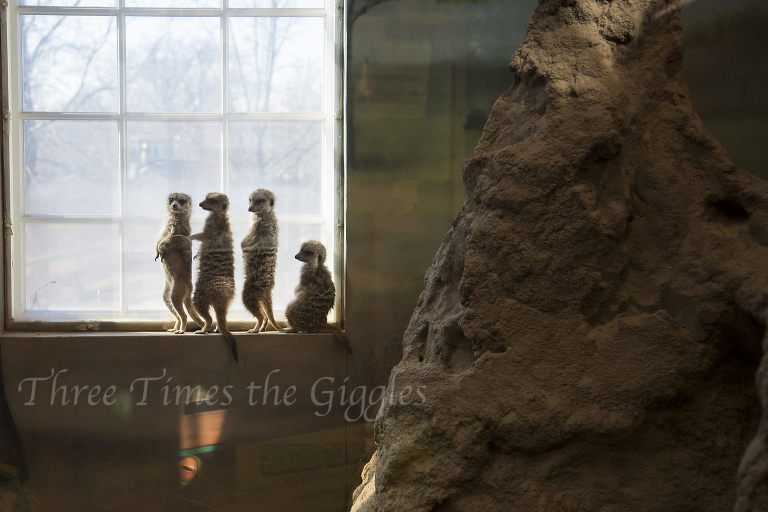 Our winter hot spot is the Kansas City Zoo! I may regret unveiling this little tip to you all, because I’m selfish and don’t like sharing, but if you haven’t done it yet, you need to take your kids to the zoo this winter. Last week, my sister and I took the kids to the zoo for a couple of hours. It was about 35 degrees outside when we arrived and there were less than 20 cars in the parking lot. I get it – it’s “cold” outside, and when you’re thinking of something to do with the kids, bundling up and heading to the zoo is probably not on the fun list. The zoo should be on your winter fun list though! We started our fun morning by watching the Sea Lions (not pictured). They did some showing off for us, and we were perfectly comfortable standing in the sun for 10 minutes while watching them! Then we headed next door to the Tropics building. The monkeys in that building are always entertaining! Next we headed over to the Discovery Barn! Always a good time in the Discovery Barn, especially when you have the entire place to yourself for 30 minutes! The kids burned off major energy, and were entertained by all of the animals in there. 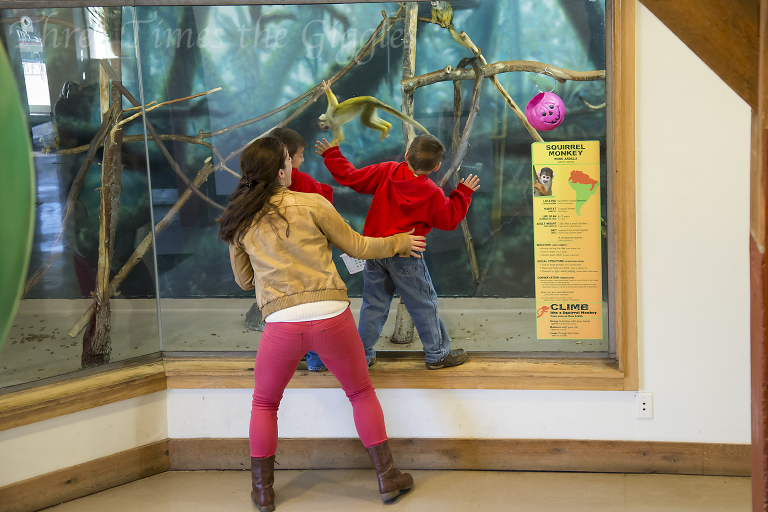 The squirrel monkeys are always our favorites. They’re in the downstairs level of the Discovery Barn, and can be downright crazy! When we were there, the crazy monkeys were literally bouncing off the glass, right in front of the boys and Laura! The Carousel is mostly wrapped in the winter, which keeps the kiddos warm while they ride. And the Polar Bear exhibit has an awesome, indoor viewing area. We brought our lunch with us and ate it right there on the benches! 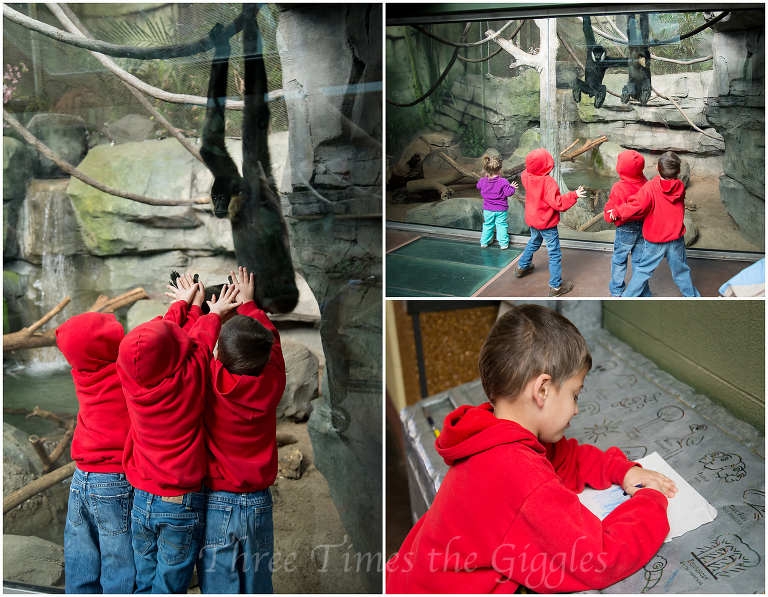 We spent just over two hours at the zoo, on a chilly winter morning and had a ball! 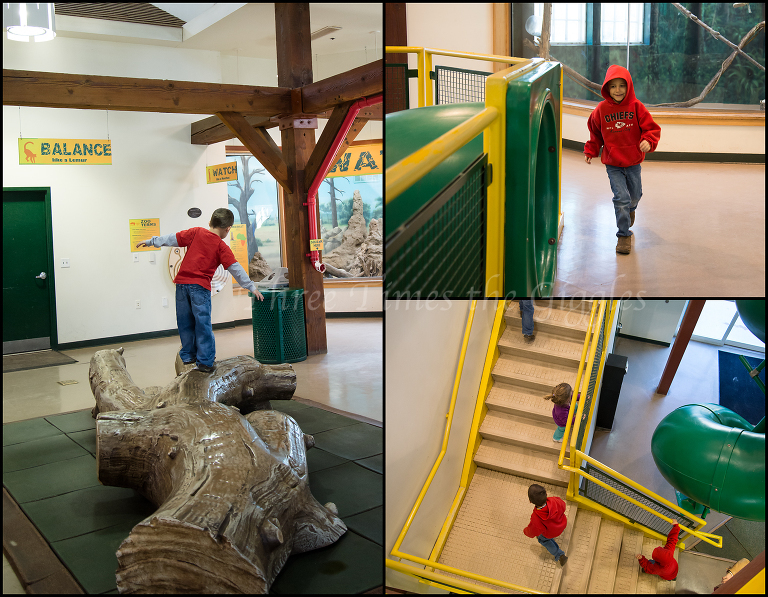 We had the place to ourselves, the animals were all entertaining, and the kids burned off some energy. 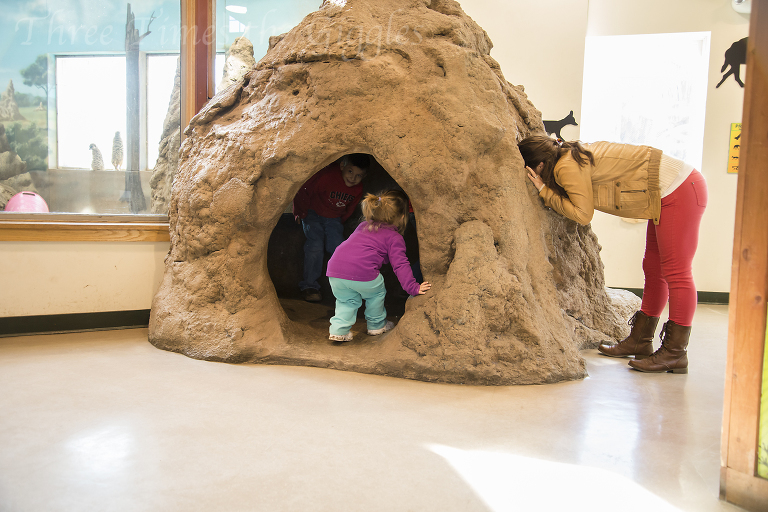 Take your kids to the zoo this winter – it’s so worth it! The Kansas City Zoo does not know who I am, and did not ask for or compensate for this blog post. I’m just a mom who goes crazy being cooped up all winter, and I thought others might too! « She’s Wild! She’s Crazy!